Any members live near Freemont California? Thread: Any members live near Freemont California? I have a friend, and quilter, who is going there in the next few weeks and her husband has given her permission to go fabric hunting, he's a keeper. So if any of you live near enough to either help her spend her DH's money or give me directions to some good LQS she would so appreciate it. Fremont actually has a couple of little shops in the Niles district. Can't miss them, they are on the main street (Niles Blvd), in downtown Niles, among the antique shops. I can't think of their names at the moment, but I'll look them up and post them. They are very small. Best bet is to use the phone book when she gets here. Last edited by DebraK; 09-29-2012 at 05:22 AM. here are links to the Fremont quilt shops that I mentioned. As I said, they are very small. I visited Color Me Quilts and More last week for the first time. The shop is small, but has a nice selection of fabrics. There are a lot of samples hanging and a many patterns I haven't seen before. The owner was very friendly and helpful. Niles also had several antique shops, if you are interested. Unfortunately, my local friend wasn't interested in visiting those. Last edited by DebraK; 09-30-2012 at 05:23 PM. 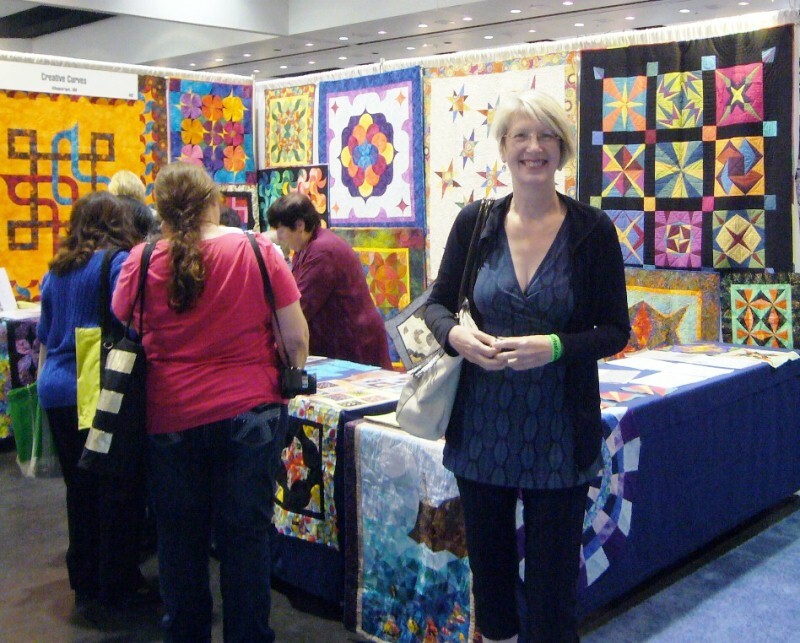 Margaret had a wonderful time, she spent a long time chatting with Virginia Walton from Creative Curves and was awestruck with the wonderful quilts she saw. She didn't find as many fabric vendors as she hoped but she is going to go to a LQS shop in Fremont. Here is a pic of her, I think her smile says it all, thank you again Ladies for your help.